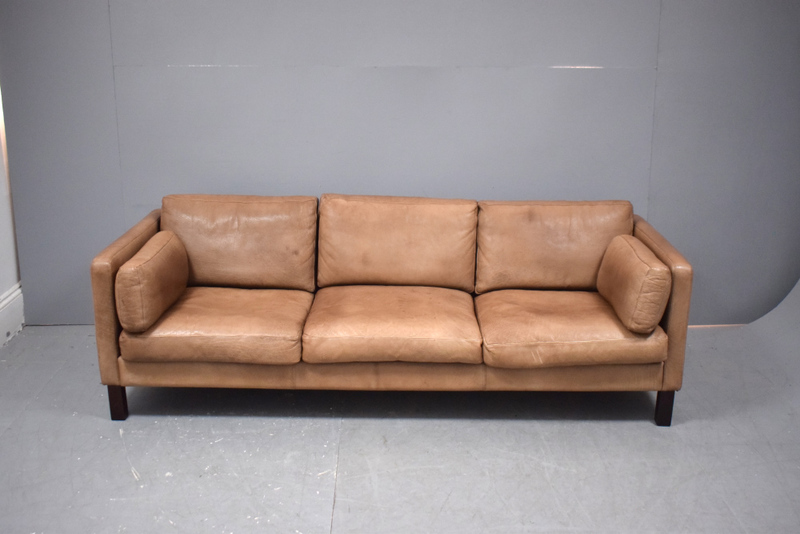 Vintage 3 seat sofa with slender space saving frame upholstered in brown buffalo leather. 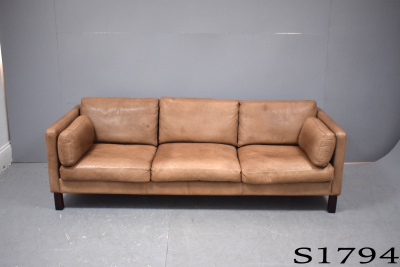 The slender design frame gives you lots of seating but takes up little space. 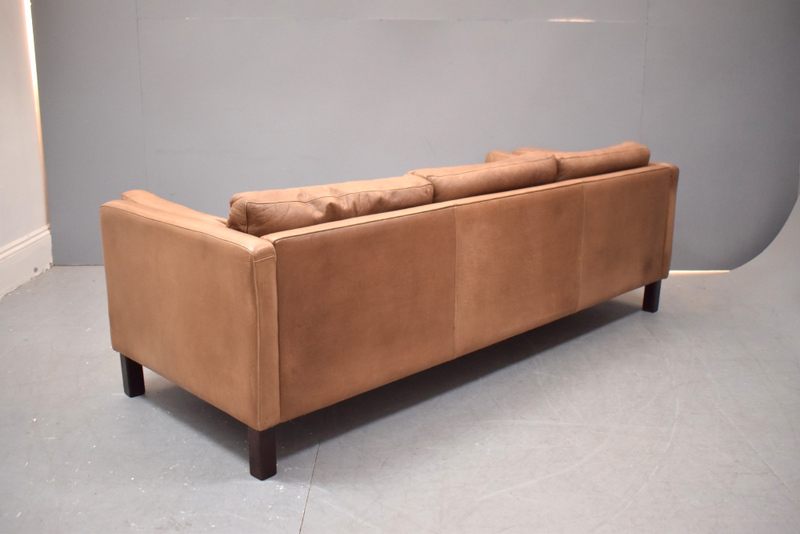 It is a very sturdy construction and stands on dark wood legs which are square. 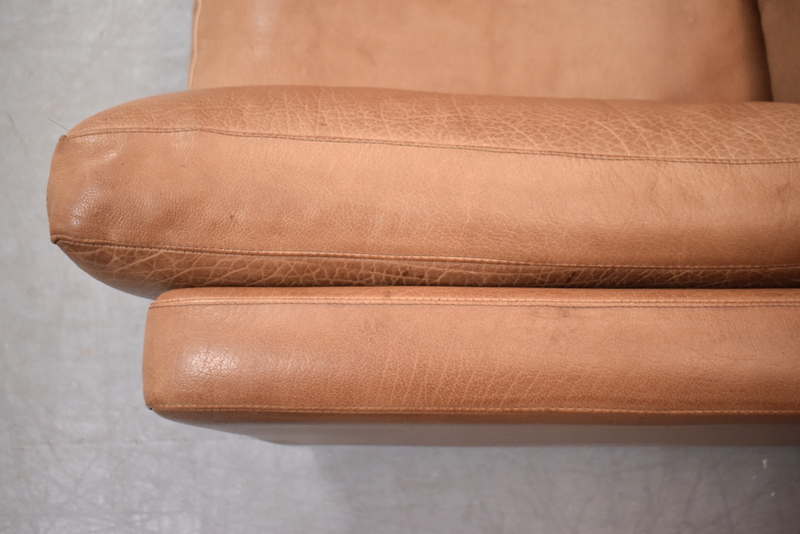 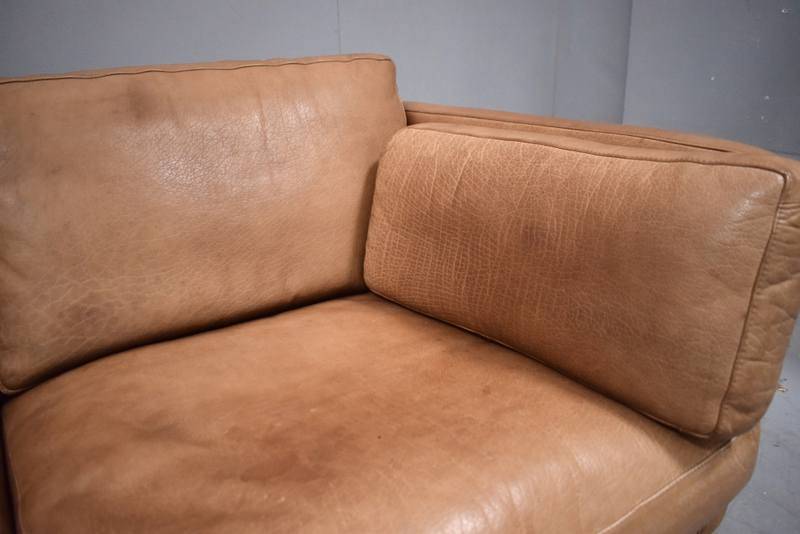 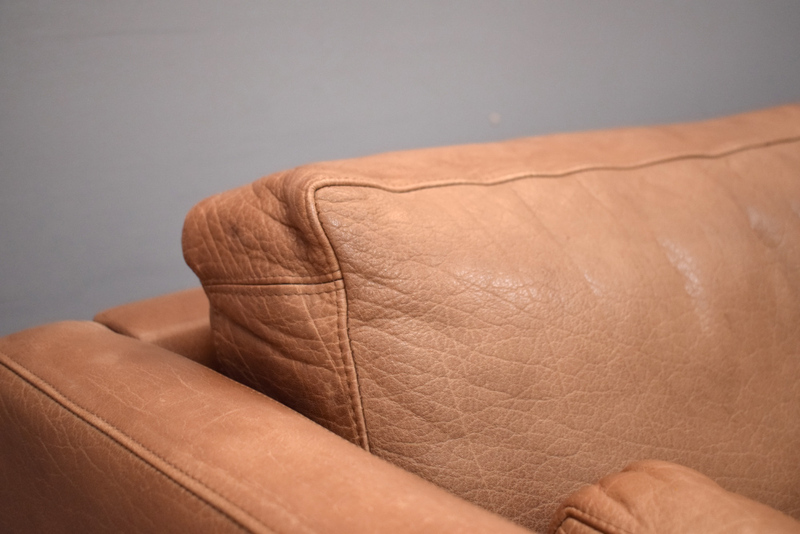 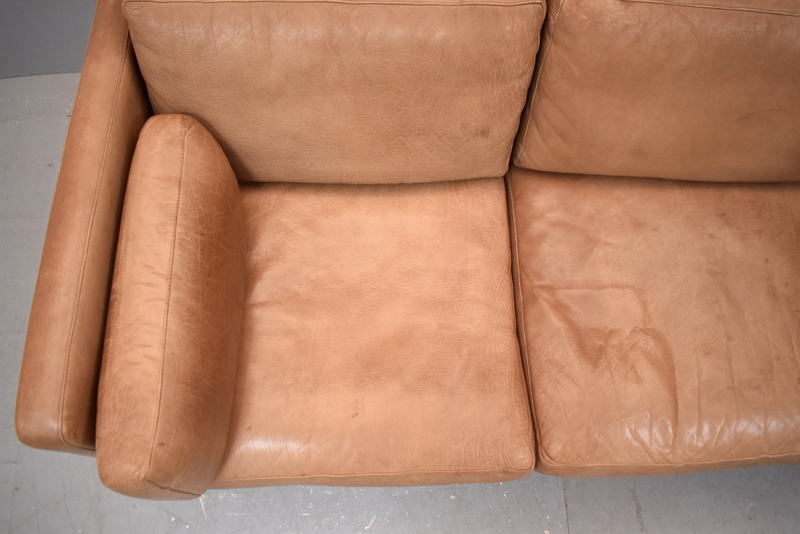 The sofa cushions and frame are all upholstered in the original buffalo leather which has aged and is showing signs of use. 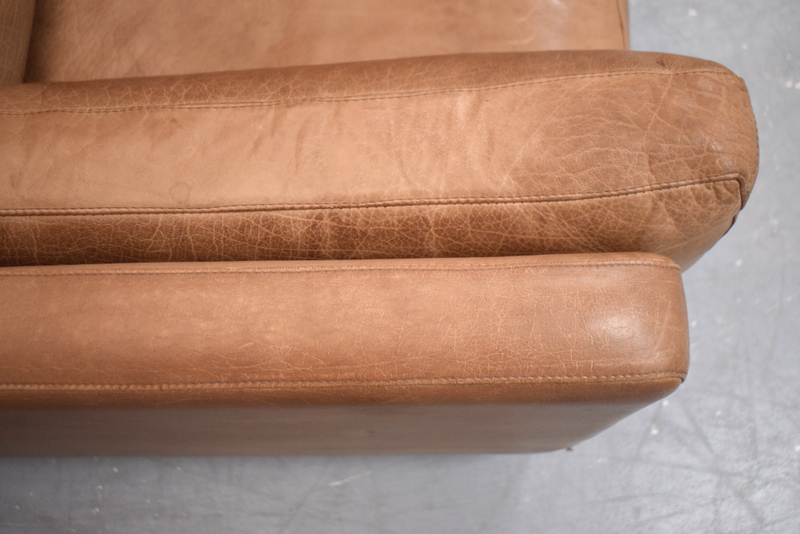 The cushions are down feather filled, providing excellent comfort and support. 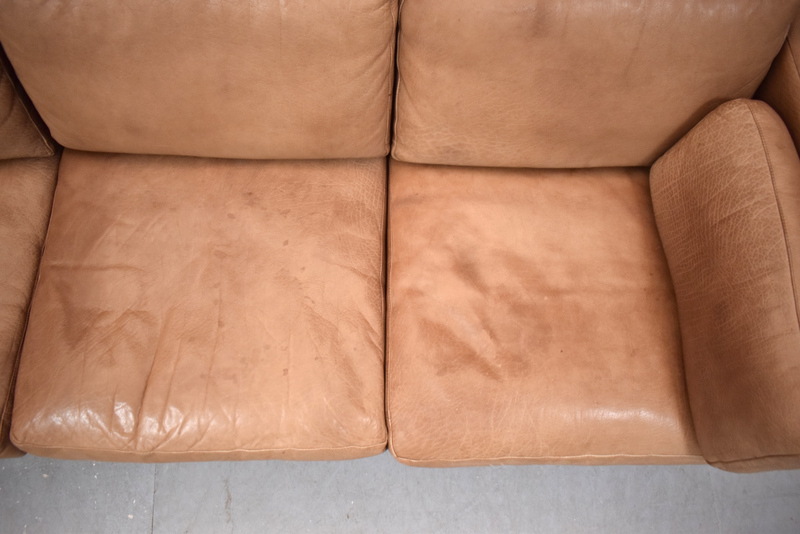 Condition: The sofa is in very good condition with some signs of of use and age. 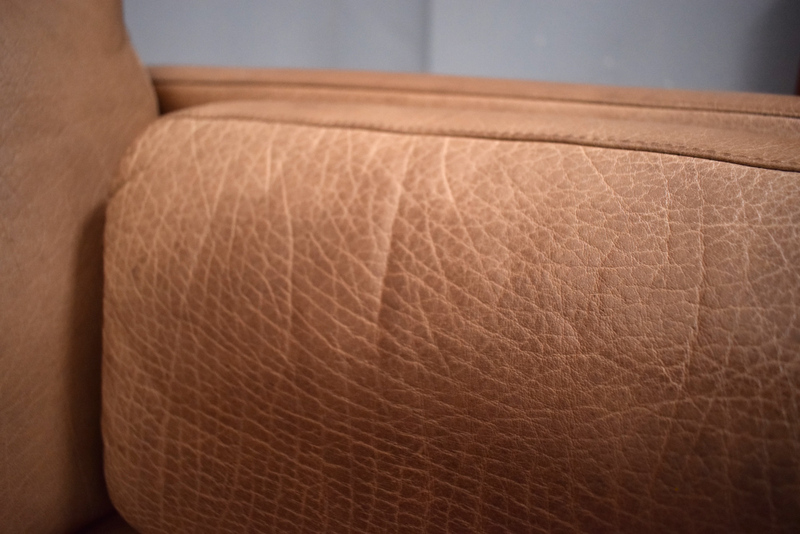 While the leather is showing signs of use & age, it is far from worn out.